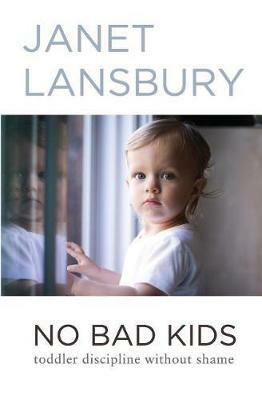 Janet Lansbury is unique among parenting experts. As a RIE teacher and student of pioneering child specialist Magda Gerber, her advice is not based solely on formal studies and the research of others, but also on her twenty years of hands-on experience guiding hundreds of parents and their toddlers. "No Bad Kids" is a collection of Janet's most popular and widely read articles pertaining to common toddler behaviors and how respectful parenting practices can be applied to benefit both parents and children. It covers such common topics as punishment, cooperation, boundaries, testing, tantrums, hitting, and more. "No Bad Kids" provides a practical, indispensable tool for parents who are anticipating or experiencing those critical years when toddlers are developmentally obliged to test the limits of our patience and love. Armed with knowledge and a clearer sense of the world through our children's eyes, this period of uncertainty can afford a myriad of opportunities to forge unbreakable bonds of trust and respect. A former actress and model, Janet's passion for parent education began when she became a mother and sought guidance from infant expert Magda Gerber. Deeply inspired and grateful for her wisdom, she began training with Magda professionally. For the last 20 years, Janet has taught RIE parenting classes in Los Angeles, been a presenter at numerous early childhood conferences, written parenting articles, and served on the board of directors of Resources for Infant Educarers (RIE). Janet is privileged to now be supporting hundreds of thousands of parents across the globe through her website JanetLansbury.com, sharing insights gained through her parenting classes and personal experiences as a mother of three.